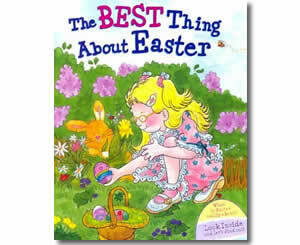 A great book to explain why Easter is celebrated. The book describes elements of a typical Easter celebration, including colored eggs, candy, dressing up for Easter Sunday, and baby animals. Though all these things are fun, the BEST thing about Easter is Jesus and His love for us!